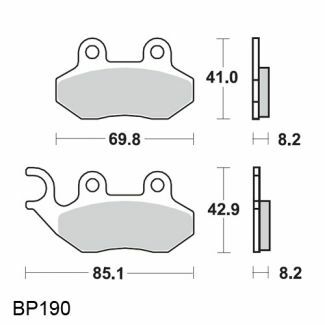 Slotted Elig Rear brake shoes fits both Buddy 125-150 and Bajaj Chetak or Legend 2001-2006 (also fits a few other scooters). Price is for a pair and includes new springs. These are aftermarket by Elig, but these are slotted so they will stop even better than stock.